Put your Steelers spirit on display in this Pittsburgh Steelers Long Sleeve Hoodie! You'll be cozy on game day in this Pitt Steelers Mens Black Victory Hooded Sweatshirt. This Steelers Long Sleeve Hoodie features a team issued applique logo on chest and kangaroo pocket. 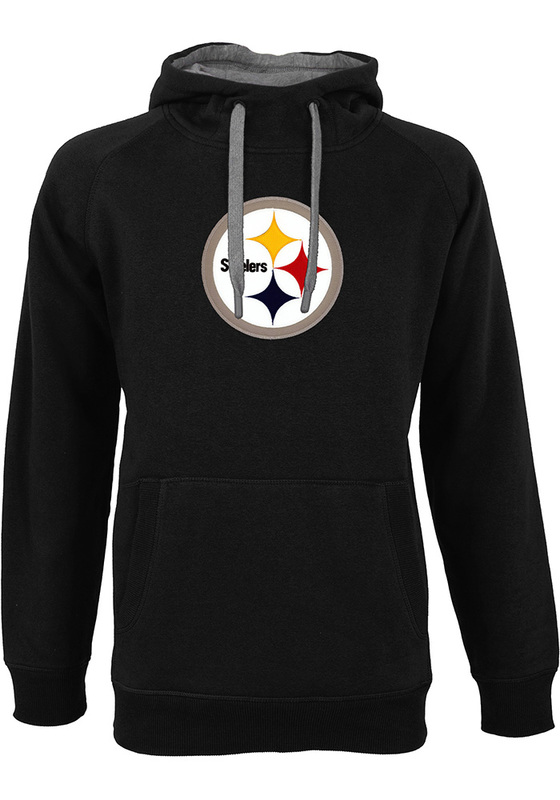 Wear your Pittsburgh Steelers spirit with pride in this great Mens Hooded Sweatshirt!